Have you ever wanted to see where concentrations Diam of publications or authors can be found in certain – countries or regions? Or which authors are employed by a cell certain Research Institute? Well now you can. 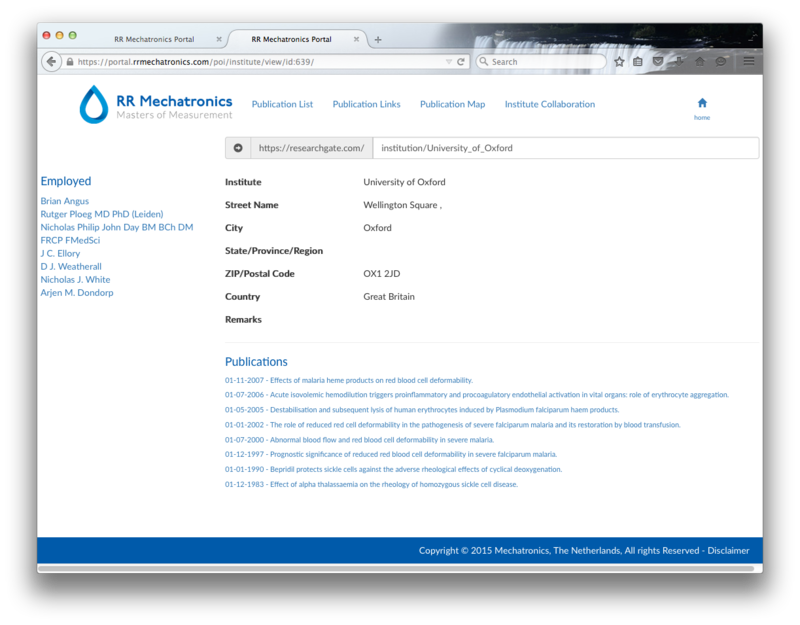 RRMechatronics has created Game a visual database of publications, authors and institutes. They are placed on a map cheap nba jerseys and can be easily selected from there. OIn the Rheology cheap nba jerseys section there are more tools und linking researchers and publications. We will fill you in on that next time. Just double Hoy click on the map to zoom in and click on a red dot to see how many publications are linked deformability on the institute. Click on cheap nfl jerseys the name of the in institute for a list of publications and to see which authors are employed there. Clicking on a publication brings up details and an abstract. Article summary: Prognostic significance of reduced red blood cell deformability in severe falciparum malaria.